Matthew and Catherine are Multisensory Math Instructors of Teaching, certified by Marilyn Zecher. Matthew is currently head of the Key School Math Department and teaches 5th Grade Multisensory Math. Catherine is a coinstructor for Marilyn Zecher’s Multisensory Math I online course and supervises KLC Multisensory Math practicum candidates. Cost: $140 includes Lunch and Resource Packet of lesson planning resources and templates designed by Key School Multisensory Math teachers. 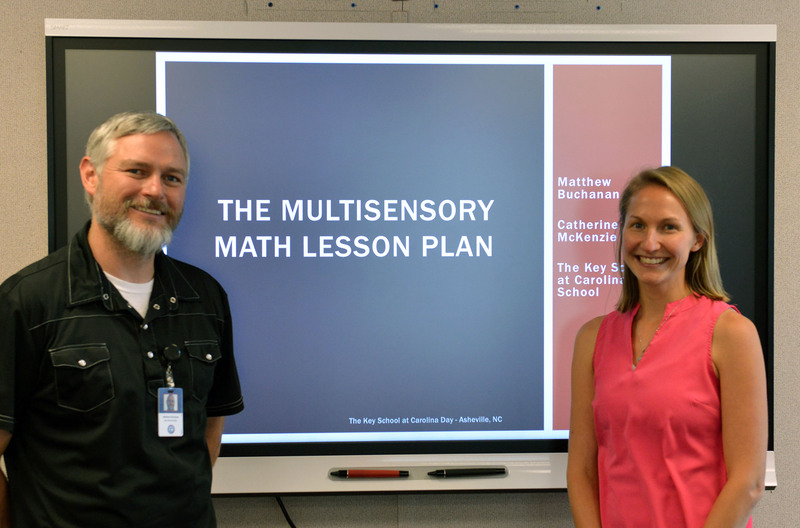 What is the Multisensory Math Lesson plan? Designed to mirror the structure of an Orton-Gillingham lesson plan, The Key Learning Center Multisensory Math Lesson Plan utilizes Auditory, Kinesthetic, and Visual components to “prime the pump” for the instruction of new information. The introduction of new information follows the Concrete, Representational, Abstract (CRA) sequence to ensure students develop a strong conceptual understanding before learning efficient procedures for solving problems.